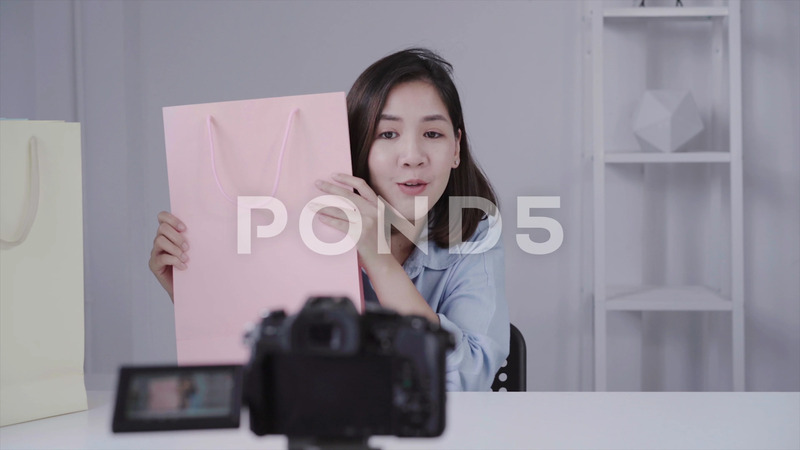 Happy Beautiful Asian Woman Unboxing Gifts From Brand Or Her Subscribers. Description: Happy beautiful Asian woman unboxing gifts from brand or her subscribers. Female blogger recording video from camera to fliming an unboxing video.